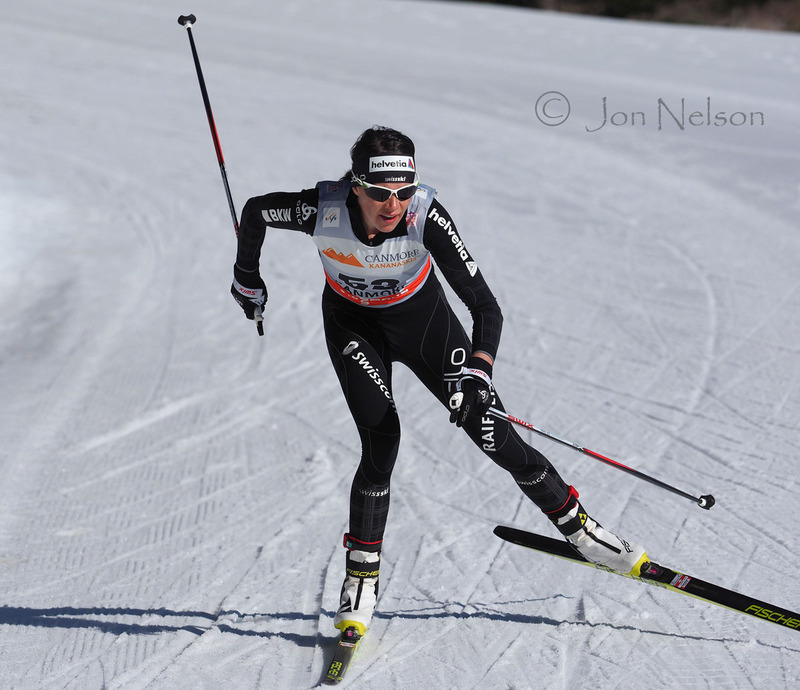 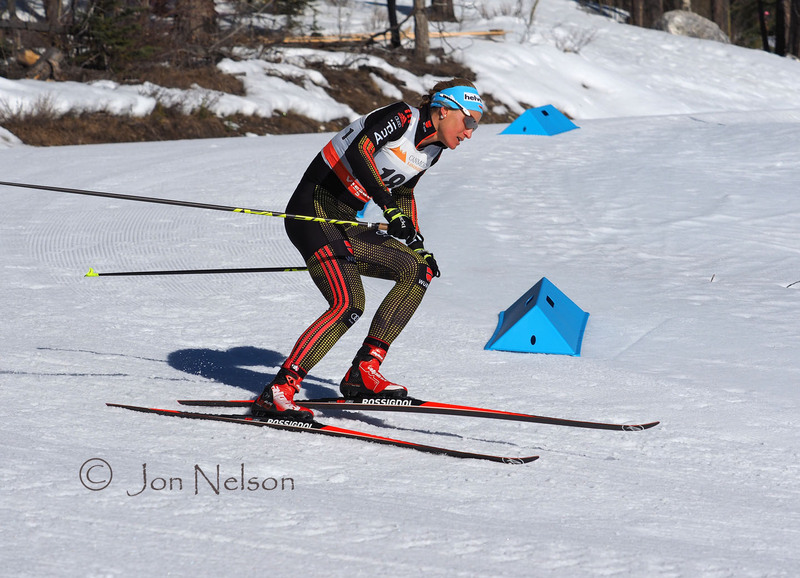 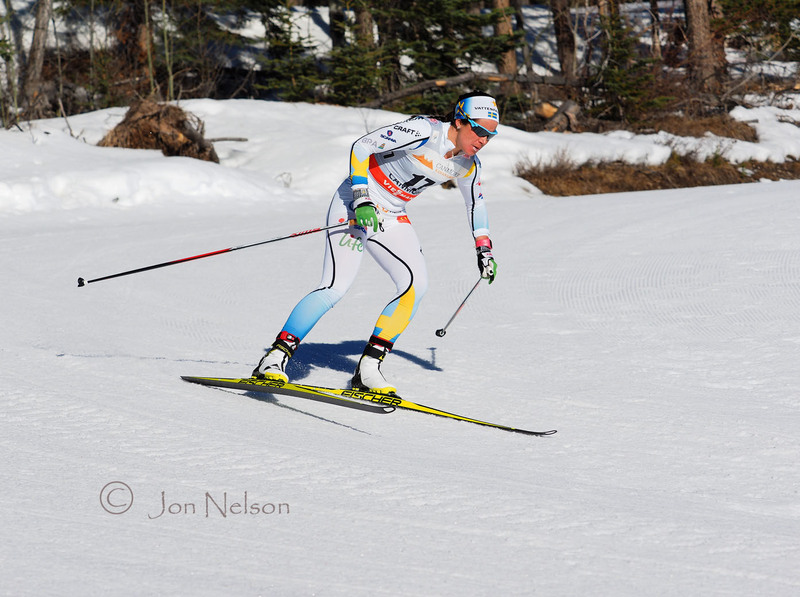 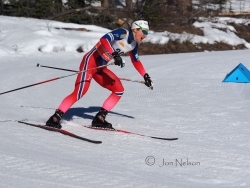 Posted March 22, 2016 in Cross Country Skiing Photography. The Women’s Skate race was the third race of four women’s races held in Canmore, Alberta. 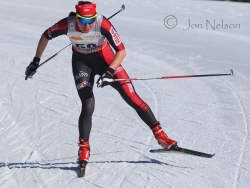 These races completed Ski Tour Canada 2016. 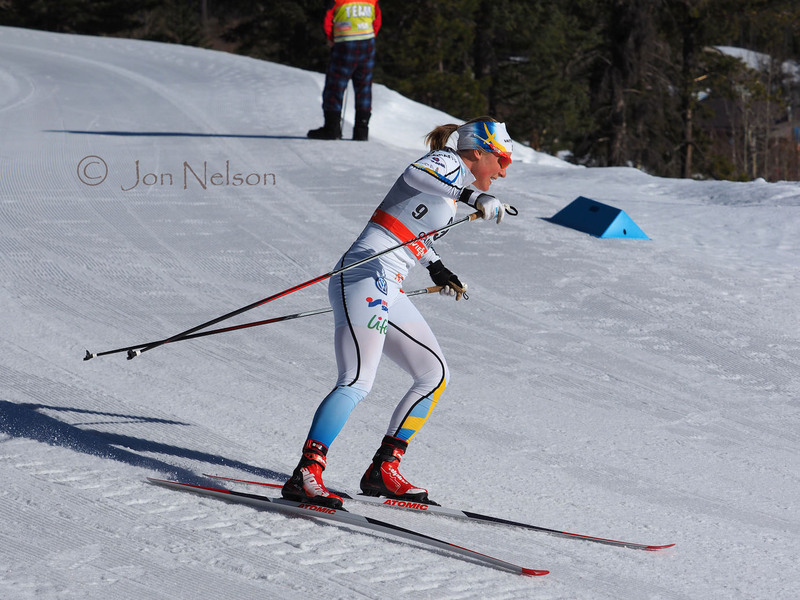 The March 11, 2016 interval start race was won by Norway’s Ingvild Oestberg with Norway’s Heidi Weng in second and Finland’s Kristi Parmakoski third. 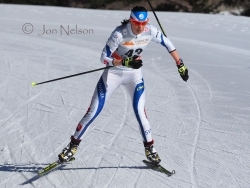 Jennifer Jackson turns away from the sun on a cloud free morning. 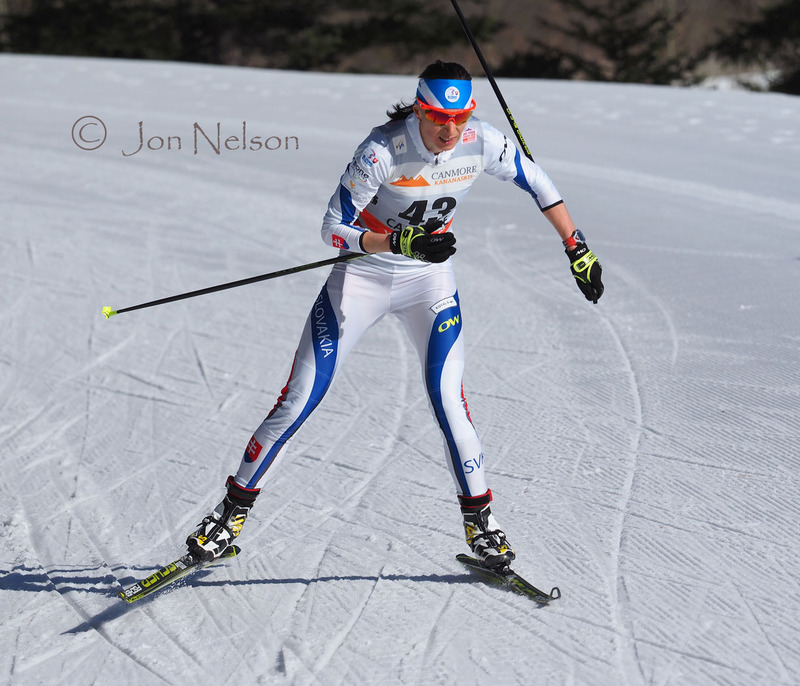 Alena Prochazkova gathers momentum as she approaches a downhill. 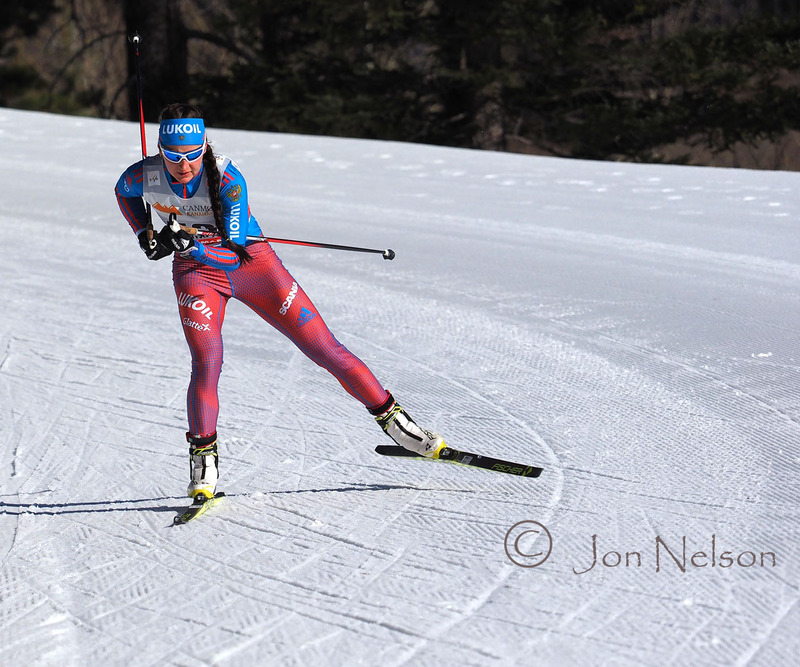 Alenka Cebasek moves past a skier on a straight section. 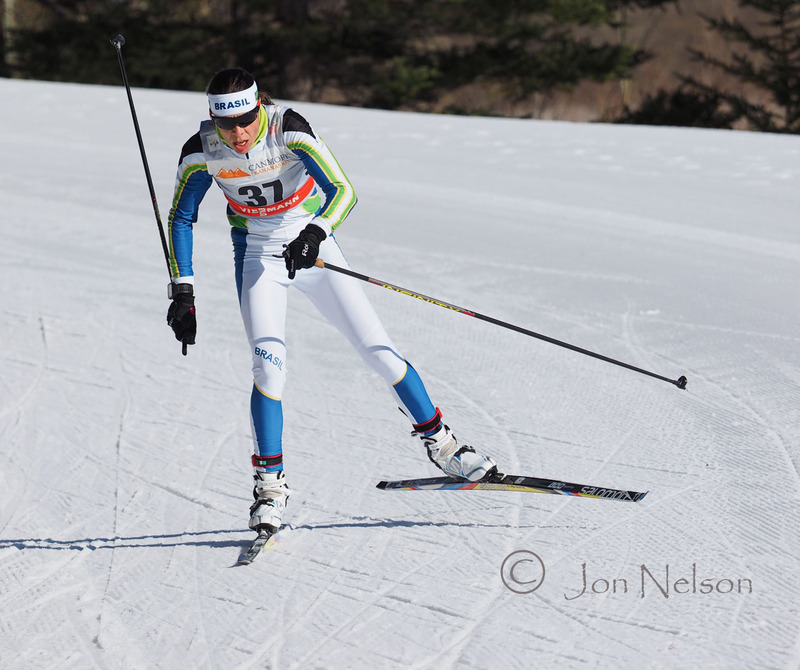 Anna Haag sweeps around a sharp downhill curve. Annika Hicks cruises along a fast part of the trail. 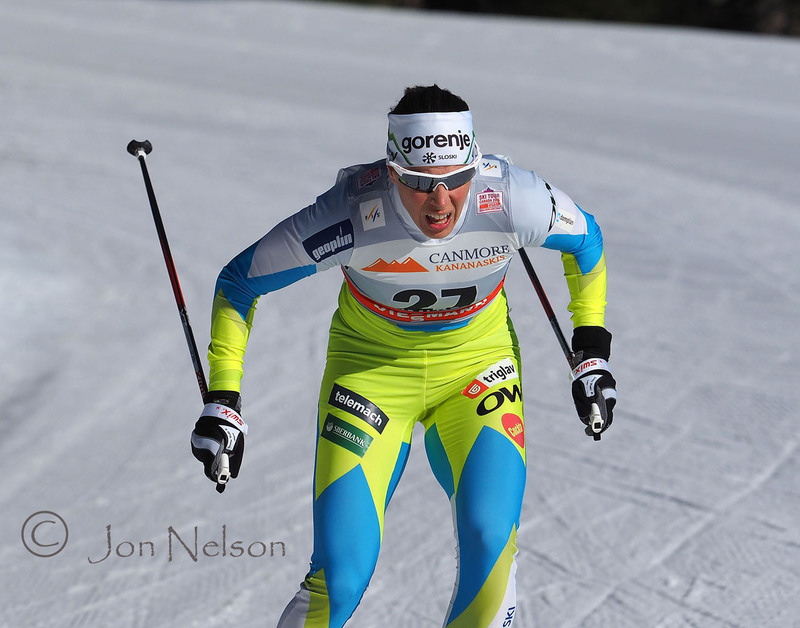 Cendrine Browne turns into the sweeping downhill curve at the Canmore Nordic Centre. Caitlin Gregg picks up speed at the beginning of a downhill. Dahria Beatty cruises along in preparation for a push for the finish. 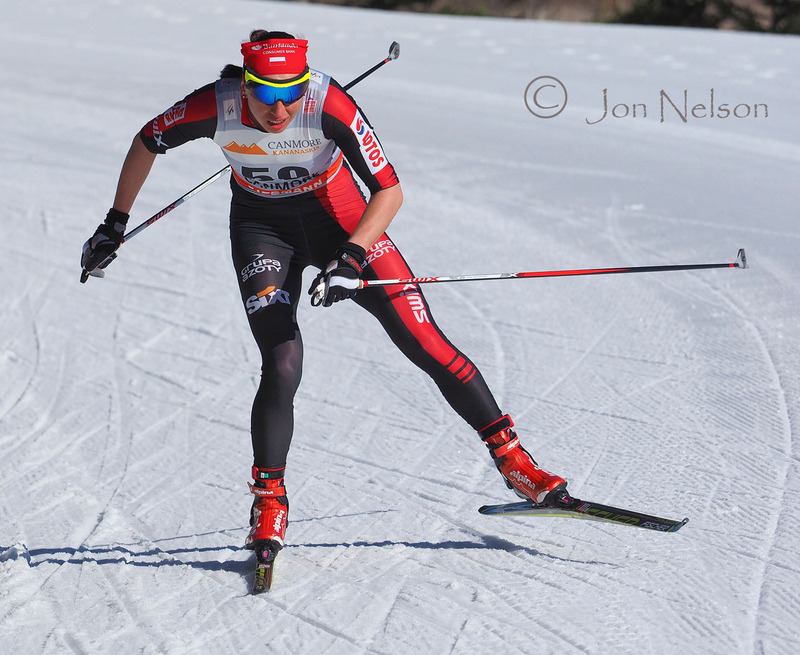 Dahria Beatty looks ahead to a sharp downhill curve. 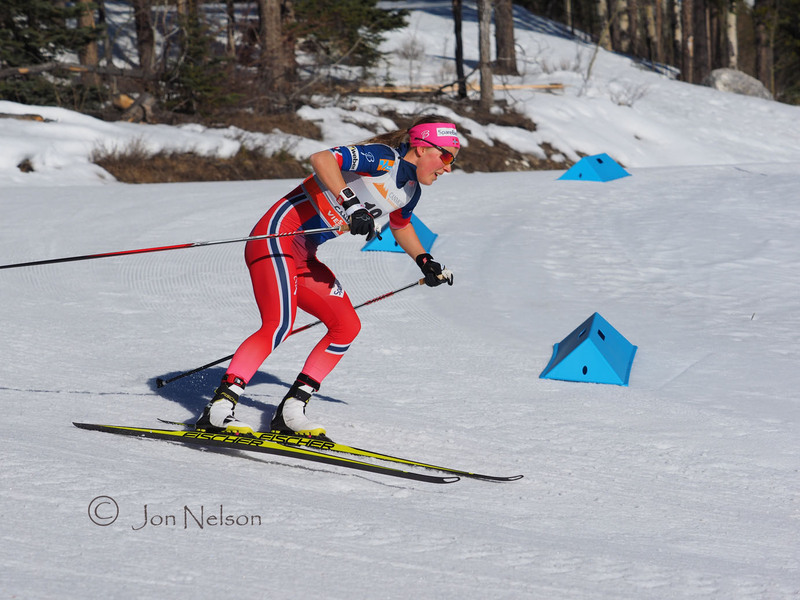 Hannah Falk swoops around the downhill curve. 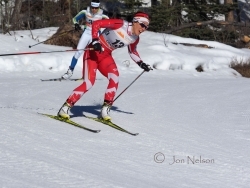 Emily Nishikawa turns and heads for a long downhill. 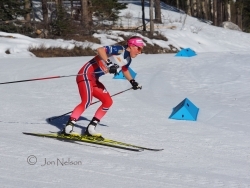 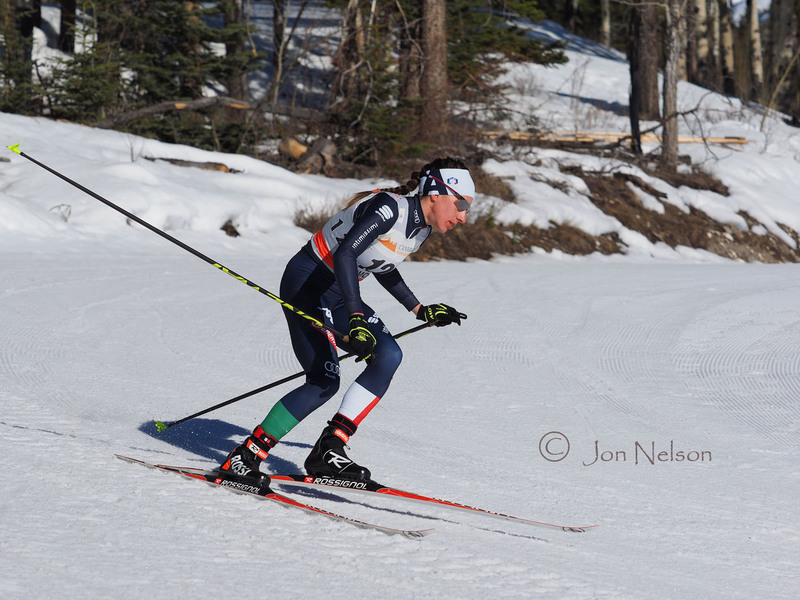 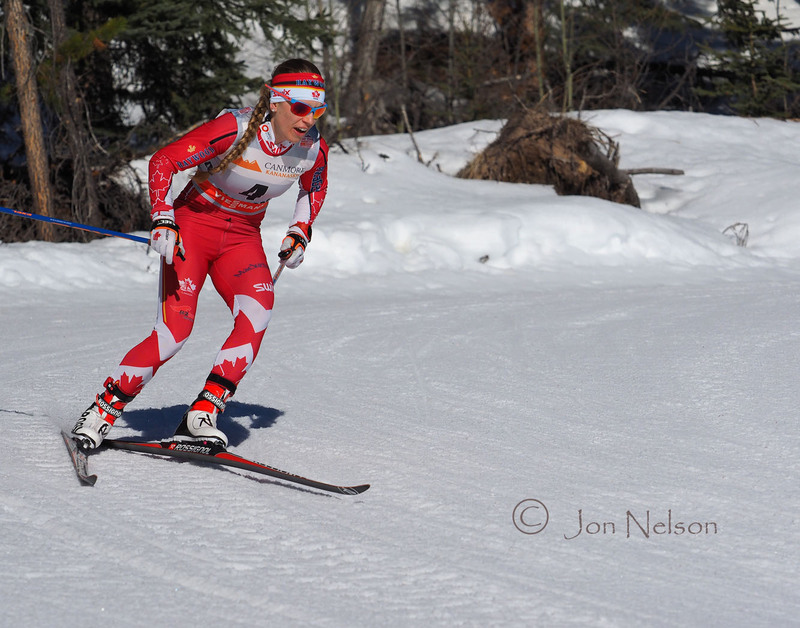 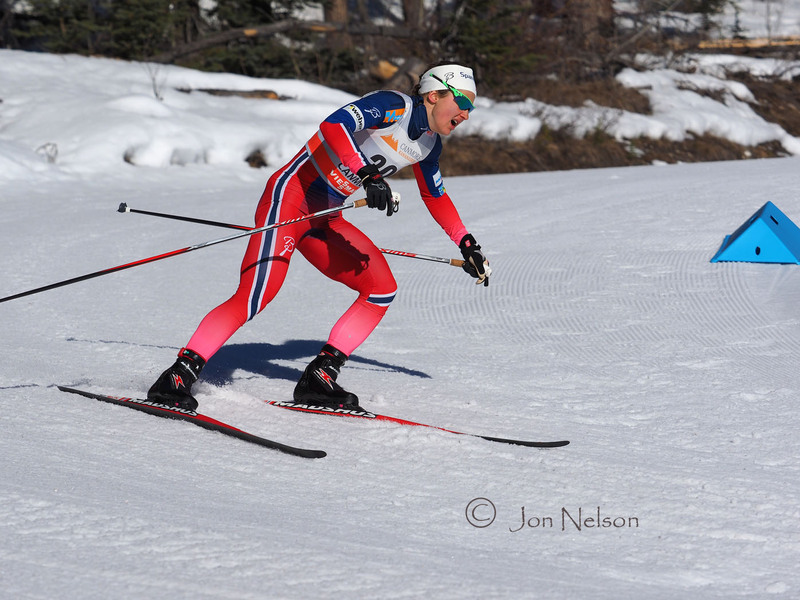 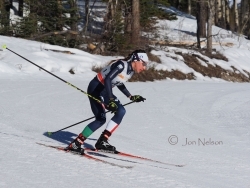 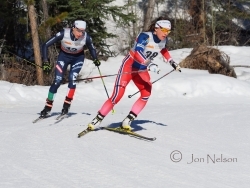 Jennifer Jackson glides around one of the fast turns at the Canmore Nordic Centre. 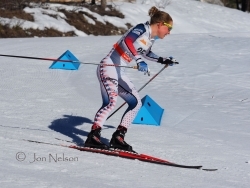 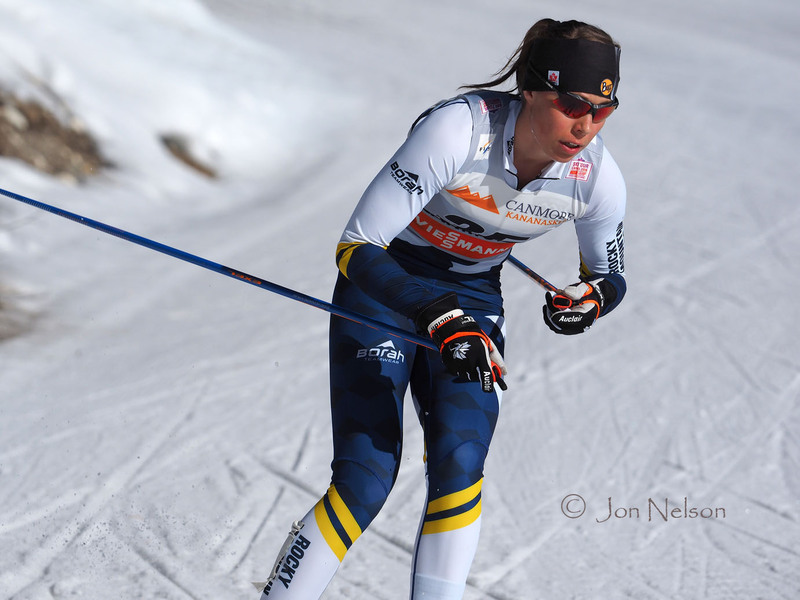 Jessica Diggins was the top Women skier for the American team. 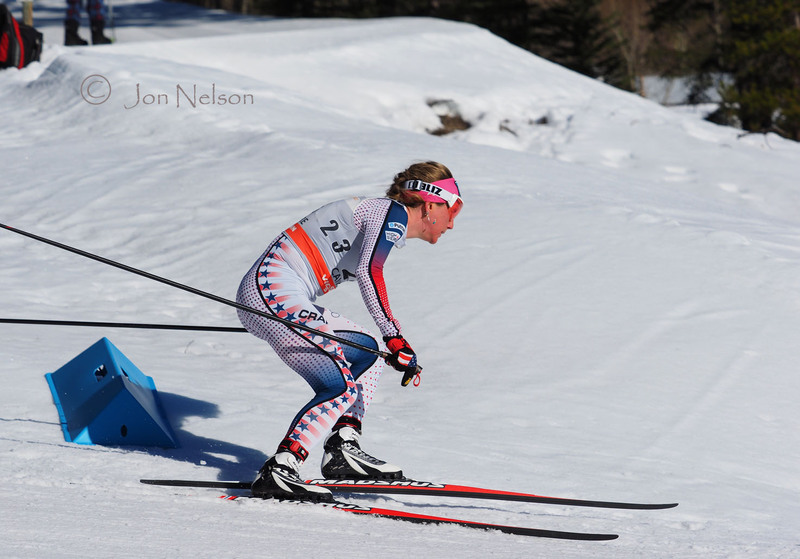 Kari Slind completing the turn on her way downhill. 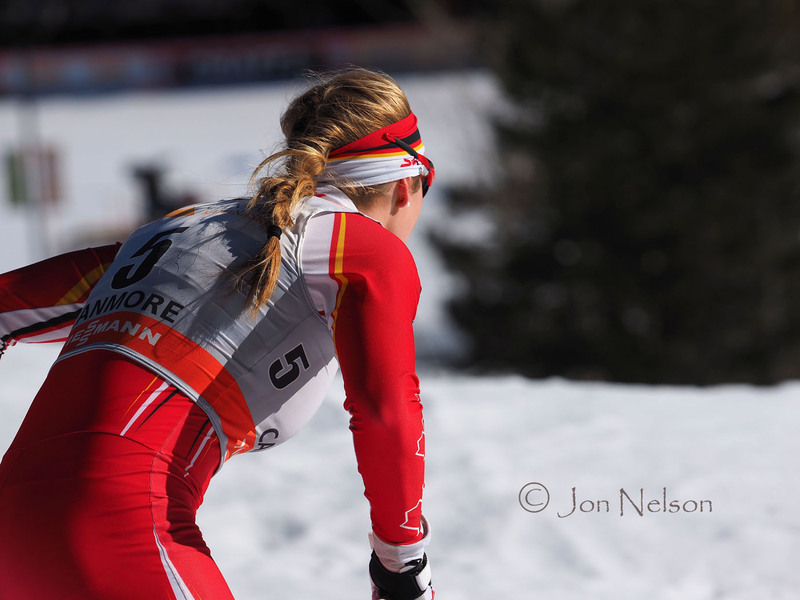 Maiken Falla, known primarily for her sprinting, nears the completion of the Skate race. 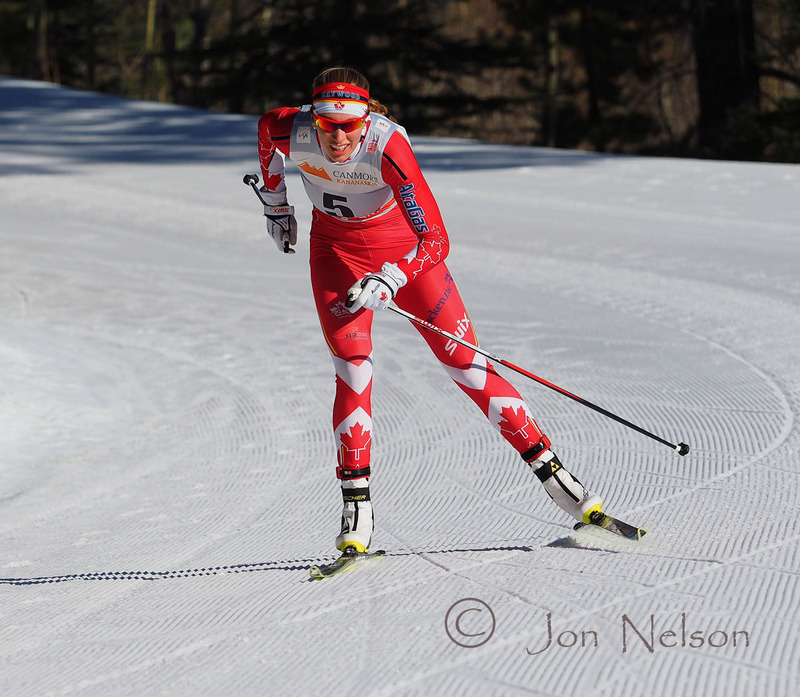 Maya MacIsaac-Jones begins her turn and descent. 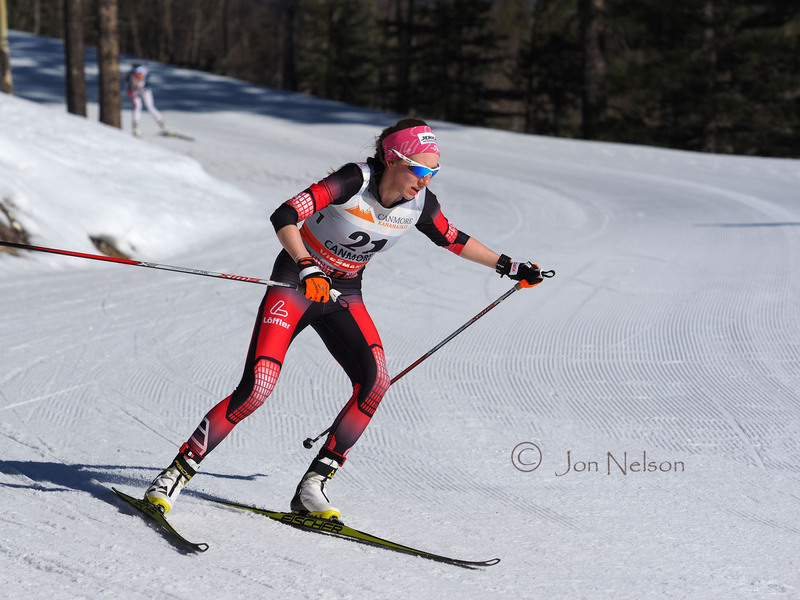 Nicol Fessel picks up speed as she starts the descent. 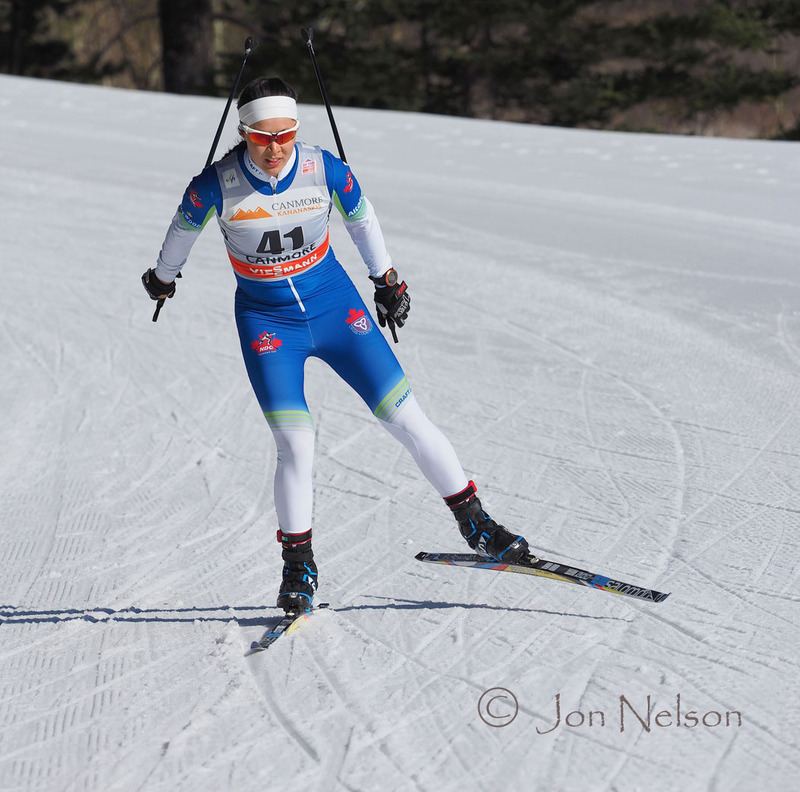 Petra Novakova approaches the turn. 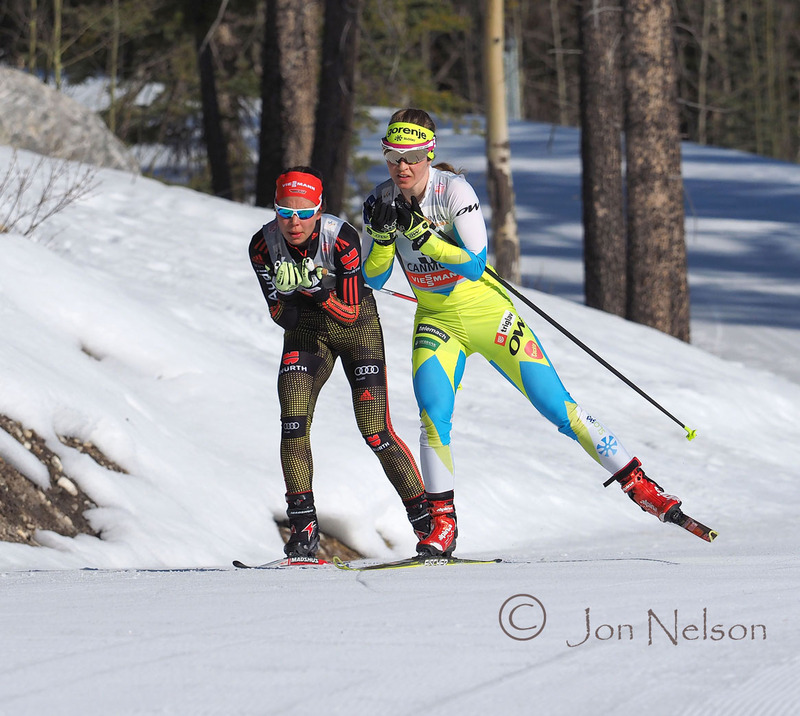 Teresa Stadlober turns into the sum on a day when sunglasses were helpful. 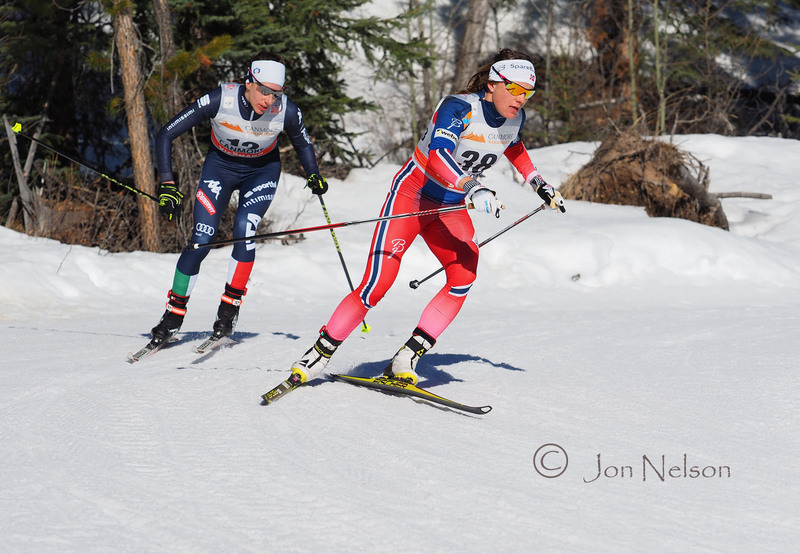 Italy's Virginia DeMartin Topranin makes the turn and heads down. 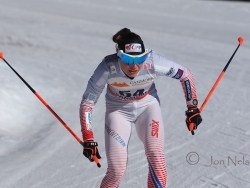 Yulia Belorukova skates on the hard track early in the race. Ingvild Oestberg is on her way to victory in the 10 km Skate race. 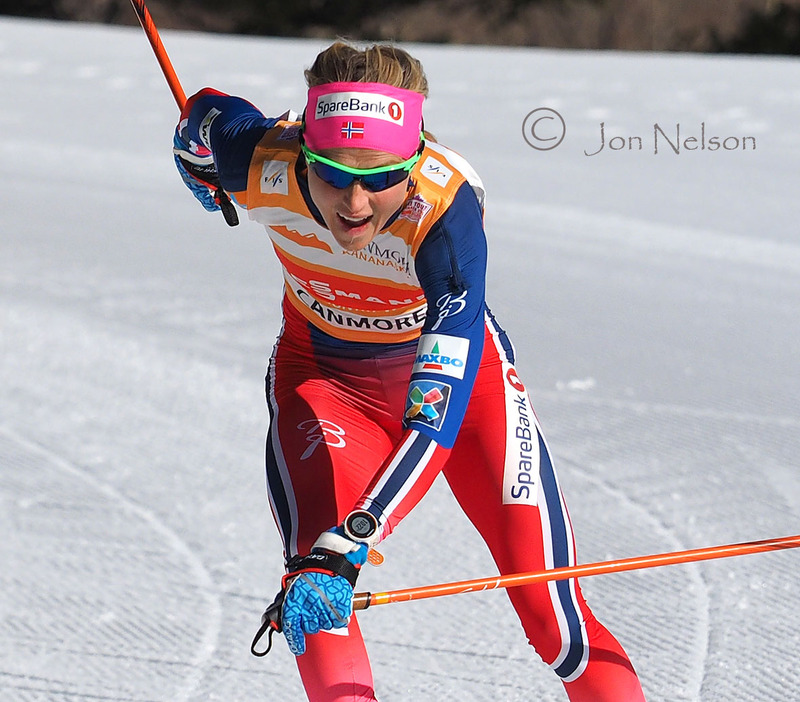 Therese Johaug was second in this Skate race but went on to win Ski Tour Canada 2016. 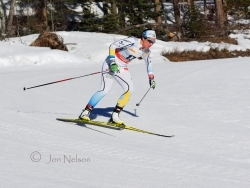 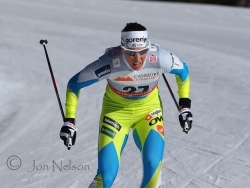 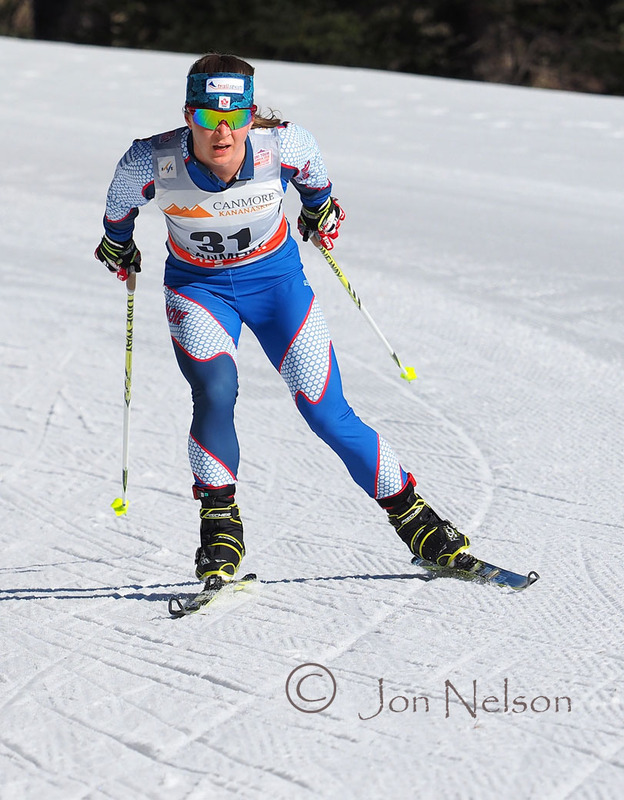 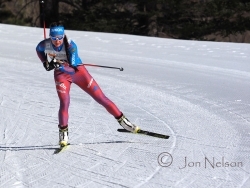 Vesna Fabjan has competed in three Winter Olympics and was 3rd in the individual sprint event at Sochi in 2014. 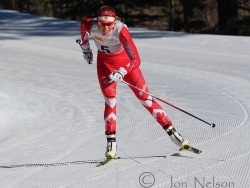 Swiss skier Nathalie Von Siebenthal enters the final stage of the 10 km Skate at the Canmore Nordic Centre. 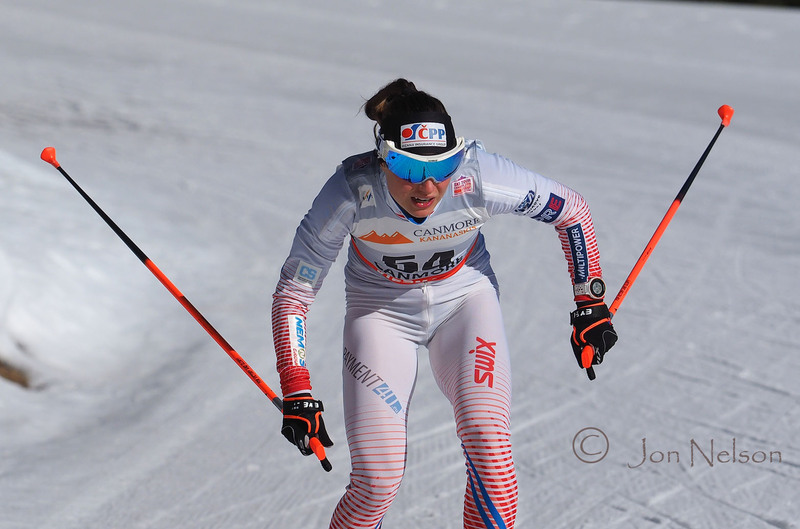 Justyna Kowalczyk has been racing internationally for sixteen years and is still one of the top women skiers. 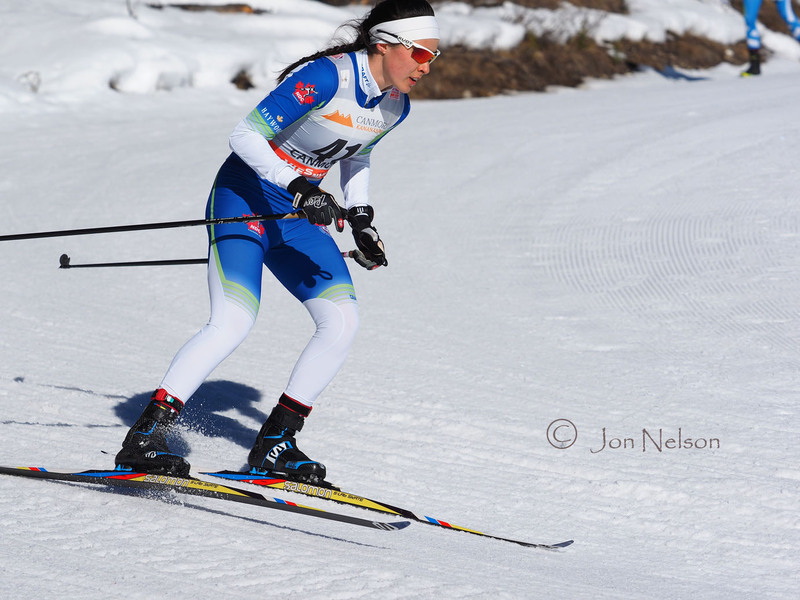 Jaqueline Mourao has competed in five Olympic Games and carried the Brazilian flag during the Opening Ceremony at the 2014 Sochi Olympics.